Many people collect checks connected with specific bank ‘family trees’, others from banks connected with a certain town or city. Many collectors also collect cheques signed by famous people, but perhaps more challenging is collecting cheques associated with fictional characters. One of the best known fictional characters in the world, and one of my favorites, is Sherlock Holmes. We all know that I am never going to find a check signed by Sherlock Holmes, but it is possible to collect checks from banks mentioned in the Holmes stories, provided that the banks themselves are not fictitious! Reading the stories again and using such reference books as The Encyclopedia Sherlockiana by Jack Tracy and Sherlock Holmes in London: A Photographic Record of Conan Doyle’s Stories by Charles Viney provided the names of several banks associated with Holmes’ adventures. I have been able to obtain checks from some of the banks and am still looking for others. In the stories, Sir Arthur Conan Doyle wrote about the famous detective and his companion, Dr. John H. Watson. Numerous details are given about their everyday existence. Among these details are several about cheques (as the British spell checks) and banks. A Capital and Counties crossed cheque of the Sherlock Holmes period, unfortunately not from the Oxford St. Branch where Holmes kept his account, but I hope to find one someday. Was there such a bank as the Oxford Street branch of the Capital and Counties Bank? Not only was there such a bank, but Sir Arthur Conan Doyle himself banked there. It was located at 125 Oxford Street at the junction with Wardour Street. The Capital and Counties Bank, founded in 1834, had 473 branches when it merged with Lloyds Bank, Ltd. in 1918. Two other characters in Holmes’ stories also had accounts at the Capital and Counties Bank: Neville St Clair, whose double life is portrayed in The Man with the Twisted Lip and the falsely accused spy, Arthur Cadogan West, on whose dead body was found his cheque book from the Woolwich branch of the Capital and Counties Bank. Where Holmes’ faithful companion, Dr. Watson, banked is never directly stated in any of the stories, but using the powers of deduction that Sherlock Holmes prized so much, we can deduce that it was at the 16 Charing Cross branch of Cox and Company in London. Cox and Company was the pay agent for the British Army in India, and Watson was a retired Indian Army doctor. Another clue is given in Thor Bridge in which Watson says, “Somewhere in the vaults of the bank Cox and Company at Charing Cross, there is a travel worn and battered tin dispatch-box with my name, John H. Watson, M.D., Late Indian Army, painted on the lid. It is crammed with papers, nearly all of which are records of cases to illustrate the curious problems which Mr. Sherlock Holmes had at various times to examine”. If Dr. Watson trusted the bank to keep that very important dispatch-box, it would seem logical that he would also keep him money there. In 1923, the Cox and Company bank merged with Lloyds Bank, Ltd.
Cox and Co. cheque listing its Indian Branches. Note that the Charing Cross Bank, where Dr. Watson kept his dispatch box, was the head office of the bank. The Crédit Lyonnais is also mentioned in two other stories. In The Adventure of the Mazarin Stone, Holmes felt that Count Sylvius had forged a check on the bank, but the Count denied it and in The Disappearance of Lady Frances Carfax, Marie Devine cashed the last cheque from her employer, Lady Frances, at the Montpellier Branch. All the banks mentioned so far exist, or existed during the time period of the Holmes stories, but not all the banks mentioned in the stories are real. For example, both the “City and Suburban Bank” mentioned in The Red-Headed League and “Silvester’s”, mentioned in The Disappearance of Lady Frances Carfax are fictitious. Doing some research to find out which banks in the Sherlock Holmes stories do or did exist and which are fictitious is part of the fun. After all, what kind of Holmes fan would you be if you did not like to do some detective work?! ¹. To cross a check means to write the name of a banking company across the face of a check between two parallel lines. The crossed check can only be deposited in the bank mentioned. ². In some editions of Sherlock Holmes stories, the segment in which this sentence appears is The Resident Patient. Lee Poleske, an Iowa native, was a long serving President of the Resurrection Bay Historical Society (Alaska) to help fulfill his passion for history. 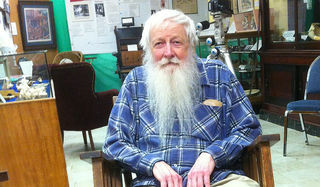 A U.S. Army veteran who served in Germany, he taught in Alaskan schools for 26 years. 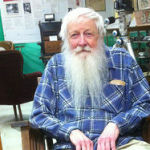 Poleske is a member of the Token and Medal Society and a Director Emeritus of the American Society of Check Collectors.